You're wondering by now why all the broken image signs are appearing all over this website. It's because Google decided to deactivate my account about a week-and-a-half ago. Now I'm faced with a long road to recovering. Because these days, Google has gone to a single login account for all of its services, when they deactivate that account, you lose everything, your G-mail, Google Drive, Google+, AdSense, DFP for Publishers, Analytics, Picasa, Calendar, Docs, Apps, Groups, Webmaster Central, and even Blogger. If you're like me, and put all your eggs into Google's basket, they have the ability to delete your personal and professional life in a single stroke. So why is this blog still here if Google deleted my account? It's because I had the foresight to create a second Google account and made it an administrator on all of my blogs. So while my primary Google account was deleted, my blogs remained online because my other Google account was still there to claim administrative rights. I've logged into that other account to post this article. Unfortunately, other Google services don't allow users to associate multiple admins, including my Picasa, Drive, Docs, and Google+, and therefore I've lost all that data, including the photos and graphic files used by Motorcycle Philosophy, and can't get it back. Some of you might remember an old article of mine, "Riding Off Into the Cloud", where I talked about benefits of storing all your computer data on the "cloud". Well, it also comes with a huge risk. I don't know why Google deactivated my account. All I know is that when I turned on my Samsung Chromebook (which is a Google-based laptop that can only be used by logging into your Google account), I got a message telling me that my Google was deactivated due to a violation of their Terms of Service, effectively rendering the Chromebook unusable, at least for that account. I thought it was some strange glitch, and restarted the computer. But alas, the message still came up. The message gave me a link to their appeals page, where I asked them what specific violation was made, and if I could at least get my files back. I had them send the answer to an alternative e-mail address. I got back what appeared to be a prewritten response, telling me again that I had violated their Terms of Service, with no further explanation, and that my account was not eligible for reinstatement. Again, I asked them if I could at least get my files back, since nearly all of my business documents are stored there. No response. Because I use so many of Google services, and I've been using them for 14 to 15 years now, I have no idea where the violation was made. I read over their Terms of Services, which is a long, detailed document, and I couldn't see that I had committed any violation. Each Google service provides users with messages that may include warnings about service abuses, but I don't recall anything saying that if I don't make corrections, they'll deactivate my account. I met with my attorney. 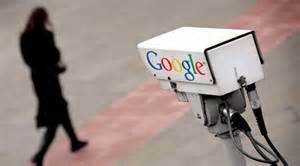 He's worked on other cases involving deactivated Google accounts. "Sounds like you were picked up by some automated Google nebulous, and I doubt that you're on anyone's radar", he said, responding to concerns that I may have violated the law. When I asked him about getting my files back, he said, "You're better off walking away and starting over". He went on to add that Google doesn't back down. "They work with federal agents from all departments", he continued. "Obviously, they found something on you they don't like, and you don't want to play fire with them." I walked away feeling sick to my stomach. Others messaged me on Facebook that a lot of people were getting their accounts deactivated too. I read reports on forums that hackers are breaking into peoples' accounts to conduct illegal activity. Others suggested that there are files such as scripts, Office documents, and others that contain malware, that I may have stored them on my Google drive. I put my Chromebook away, and bought myself a new Windows 8.1 laptop. I've stopped storing files on the cloud, and am now storing them on an external hard drive. I even set up a Microsoft Outlook account and a Yahoo account for web-based e-mail, and am testing them out. As for Motorcycle Philosophy, Road Pickle, Sash Mouth, and several other blogs that I administer, I'll either keep them on Blogger, or convert them to a WordPress.org platform where I have more control. Cloud-based storage is still a great idea, it's just really risky when the God who controls it has a sensitive trigger finger. Through tunnels of oaks we were taken back through time to a trading post that looked as if it might have been there for a hundred years or more. Lyons Valley Trading Post seems like a throw back to a time when local Indians traded baskets and blankets for cigars and alcohol. But not having asked the proprietor, I don't really know how long the place has been there. Sash and her friend Mandy, who happens to be the "Rude Biker Chick of the Month", had planned to go riding together yesterday and then decided to bring their significant others along. "Everyone's wearing denim", I said, pointing out that I was the only one who brought a leather jacket. "You don't have a denim jacket do you?" Sash replied. I shook my head. "I don't need another jacket. I have this leather jacket and another summer jacket, and that's about all I want." All I knew is that the weather was beautiful and the roads were clean. It was one of those one-handed riding days where my camera hand couldn't stop capturing the world around. Wildflowers were just starting to bloom and animals of all kinds were crossing the pavement in front of me. 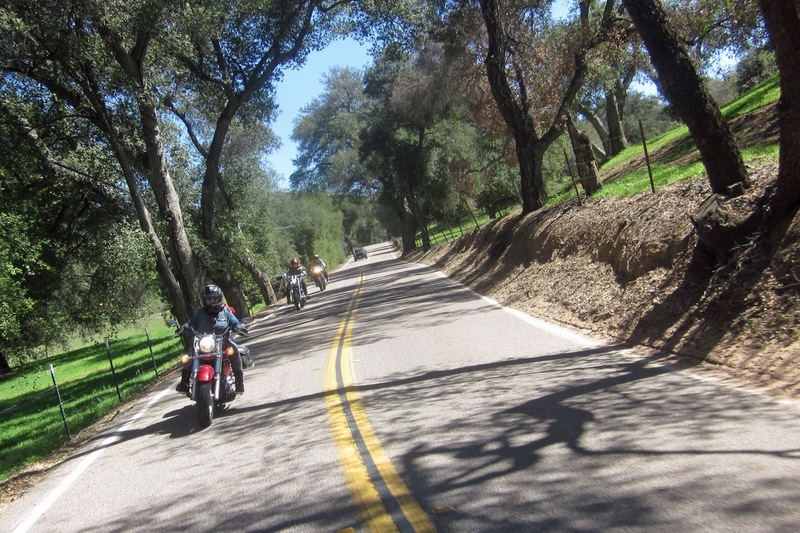 Highway 94 offers some 55 miles of twisted riding through the hills and valleys that surround the US/Mexico border. Tiny hamlets of Dehesa, Potrero, Campo, Jacumba that once served as the town centers of Spanish-land grant farmers still offer watering holes for weary motorcycle riders. Hummingbirds fly right up to you, paying no attention to anything other than a sip from the feeder. Normally sportbike riders drag their knees along the canyon curves and there's always a life flight helicopter making a landing there on the weekend. But it seemed like time moved slowly that afternoon, and we had all day to spin our wheels. It was a Friday, no traffic, no motorcycles, just the four of us. Utah's southern region offers no apologies for its vast stretches of lonely highway, strange rock formations, and country towns still 50 years behind the times. And why would a motorcycle trekkie even want one? Highway 12 was designated by the Federal Highway Administration as a National Scenic Byway in June 2002, and further designated as an All-American Road. Its 124 miles of curvy, sweeping two-lane asphalt take a motorcyclist back through time, perhaps millions of years ago, illustrating how the wind, rain, and rivers left behind their unusual marking on the land's reddish hues. It's no wonder the Federal Highway Administration nicknamed it, "A Journey Through Time Scenic Byway". But let's not forget Highway 24 through Capitol Reef, or Highway 95 through twisty canyons of Lake Powell, or Highway 261 down the Moki Dugway, or Highway 163 into Monument Valley, and of course Highway 9 through Zion National Park. We did them all. I left Southern California with six other friends in April 2009 during Easter Vacation week. It was cold the entire way through Utah, but weather was clear. Our trek began in the west at Zion National Park, going north east up Highway 12 & 24 towards Hanksville. Then it was down Highway 95 & 261 into Natural Bridges and Mexican Hat and into Arizona. I was on my 2005 Harley-Davidson Electra Glide Ultra Classic. I was able to use the bike's built-in CB Radio and keep in communication with four of the six other riders. Among us were 3 Goldwings, 2 Ultra Classics, a Honda Shadow, and a Kawasaki Vulcan. The trip took 4 days and 3 nights. We camped at Zion National Park, Natural Bridges National Monument, and Grand Canyon Caverns (AZ). The entire route from home back to home was 1,400+ miles. Day 2, Camping at Natural Bridges National Monument, it was really cold when we got there, and froze our asses at night. No campfires allowed here, so all we had was this BBQ grill. Day 3, standing atop Moki Dugway looking south towards Mexican Hat. Highway 261 right. Day 3, the Moki Dugway is a very twisty dirt road that descends the side of a cliff. It's officially Highway 261. Day 3, Highway 261 south towards Monument Valley. This horizon has been used in several movies. Day 3, Cameron, AZ. The blue Honda Shadow belongs to Gary. He says it only does 140 miles range. So we made him do 160 miles instead. He was one of the two riders without helmet communication, so he was shitting bricks the last 20 miles, but he made it. Day 3, Larry, Brian, Gary, and Paul, at Grand Canyon. Day 3, camping at Grand Canyon Caverns. It was only $15.00 to camp for all bikes, has nice bathrooms and hot showers at no extra cost. Day 4, Grand Canyon Caverns is about 100 miles south of Grand Canyon, but has a small air shaft connected to the Canyon. You take this elevator down a few stories. It's a privately owned cavern. Day 4, inside Grand Canyon Cavern. During the 1960s Russian Missile crisis, the federal government commandeered this cavern to store ammunition, food and water. Day 4, Highway 62 west towards Joshua Tree National Park. The dashboard of my Harley-Davidson. I had to use a rubber band to secure my XM radio to its cradle because the bike kept vibrating it out. Some of the most amazing motorcycle riding in the United States lies in California, along the Sierra Nevada mountain range. Numerous state highways cross over the nearly 400 mile long range starting from SR-178 in the south to SR-36 in the north. In between there a number of highways that take you up over 9,000 feet elevation, including the very technical, single laned, Ebbetts Pass. For the most part, you'll find smooth pavement along a number of highways, with sweeping curves, tight twisties, and gorgeous vistas that beckon you for panoramic shots. My friend Larry and I took a 3-day weekend in June 2011 to ride several of these passes on our sport touring bikes. We started from the south in Temecula, CA and went as far north as Topaz Lake by the California/Nevada stateline. Tent camping was the planned accommodations, with the first night in Mammoth Lakes off of US-395, and the second night at Dos Pedros Reservoir off of SR-49. The route also included a tour along the Gold Country Highway (SR-49), into gold mining towns of Coulterville and Mariposa. It takes a scenic bypass through the western foothills of the Sierra Nevadas past tiny towns of Bass Lake, North Fork, and Auberry, before dropping us into the San Joaquin Valley. Then we made our way back up into the Sierra Nevadas, into Kings Canyon National Park and Sequoia National Park, before we finally finished the tour with a long trek back to home via freeways. Day 1, Caliente Bodfish Road in Kern County is laden with oaks and gets very twisty. Day 2, Ebbetts Pass, SR-4, a single lane serves both directions of traffic, and gets very twisty. Day 2, SR-108, Sonora Pass, one of the most beautiful vistas along the Sierra Nevada highways. Day 3, SR-180 through Kings Canyon National Park.